Nestled off the coast of a charming little town in Nova Scotia, Oak Island is home to the longest running treasure hunt in modern times. The secrets hidden on the small piece of land have been thwarting treasure seekers for over two hundred years, consuming millions of dollars and costing multiple lives. For famed treasure hunter, Rock Tilton, the island is nothing more than an obsession. When Rock receives a call from his ex-wife, archaeologist Anna Riley, to help with the excavation, he finds himself on the next plane to Canada. Rock arrives at the location to find Anna wedged in the middle of an escalating feud, pulled between a covert organization, The Keepers of the Rose and an aloof but influential corporation, The Delega Group. As the two sides become increasingly hostile, Rock begins to realize that the secrets buried on Oak Island may contain lost information about the prophesized events in 2012. As he is pulled into a world of secrets and murder he must decide if the truth is worth more than the people he loves. 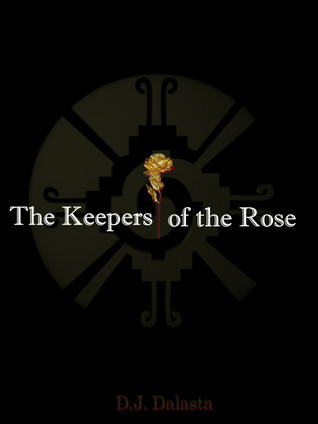 I’m not sure what went wrong here, but it didn’t really work out between me and The Keepers of the Rose. I will begin by saying the plot itself is the reason why I kept going, even if the characters didn’t really help me along. The story itself, the intrigue, was good. The facts were interesting, but interesting in the sense of a documentary perhaps, you know what I mean? The writing itself is good, I mean there wasn’t any dissonance in style or anything; a few more edits would have benefited the novel though, in my opinion. All the main ingredients of a good book are there, the plot is very obviously well documented and put together, fact that troubles me all the more. This could have been a 5 butterflies novel, I mean the plot is 5 butterflies material for sure. The characters however…I couldn’t bring myself to care about them. It feels to me like they’re approached with the same rational, calculated measure as the facts. They didn’t feel real enough for me to involve myself, to care about them. Anne is kidnapped? Who cares? Not even Rock seems to really care. He does things about it, but it doesn’t feel to me like he cares. It may sound cruel of me to say so, but I feel it is important for me to be honest about my reading experience. In the bottom of my heart, I wished I’d love the characters. Or at least one of them; because, at first sight, this seemed like the sort of novel that I’d love. It looked like a sort of Indiana Jones-y sort of thing, and in some ways, it is. This does however get your mind working on the Oak Island of Nova Scotia, it does get you curious and interested. It did those things for me, at least. So I read on, and loved the facts of the novel. I would have loved the same story put in documentary form, and I would have loved it a lot more, I think. For some reason, it just didn’t work out for me. But if you’re into stories about mystery places, and into archeology, I’d say go ahead and read it. Maybe let me wknow what you thought about it, perhaps a new perspective on it might help me make up my mind differently.